The carrying system is designed for women: lightweight and stable with a fixed back length as well as ergonomical shoulder straps and a supportive hipbelt with ventilating airmesh. The aluminium frame and mesh back panel let air circulate freely against the back. 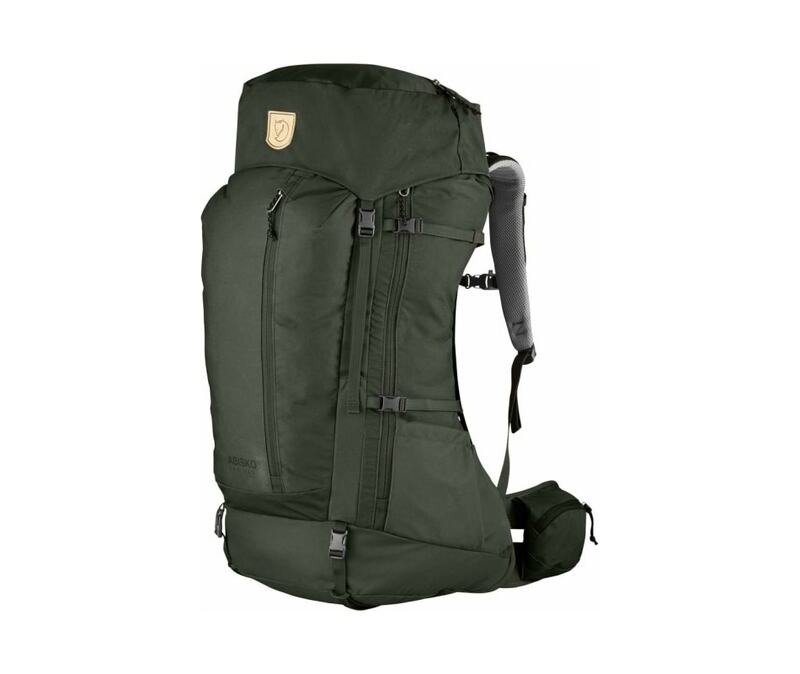 The main fabric is G-1000 Eco made from recycled polyester and organic cotton, while the base is made from waterproof polyamide for extra protection against moisture when you put the pack on the ground.Storage is well thought through with a large top-loaded main compartment, generous front pocket and expandable side pockets. The main compartment also has zippers that open up the entire front panel for easy access to contents. The top lid can be raised and has two pockets, and there are two more pockets on the hipbelt for snacks, sun screen and other small items. A loop and elastic cord let you fasten a trekking pole/ice axe to the front. The backpack is also hydration system compatible, not included, with a pocket for a water bladder and an opening for a drinking tube. Rain cover included.